Filed under: EV/Plug-in , On Two Wheels , USA , Racing After holding two separate electric motorcycle racing championships over the past three years, the FIM ePower and TTXGP championships have finally come together to create one high-level series – the eRoad Racing World Cup – and, it’s already started racing. 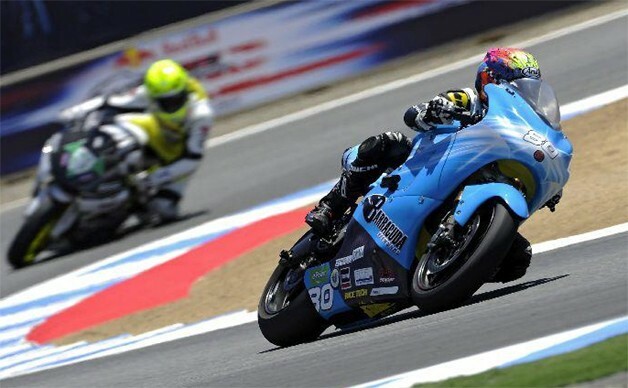 Two weeks ago, the European season first twisted its throttle in Valencia, Spain, while this past weekend saw the North American season kick off at the biggest and baddest motorcycle racing event of the year; MotoGP weekend at Mazda Raceway Laguna Seca . In a race that saw three riders go down, Eric Bostrom came away, unscathed, with the win. 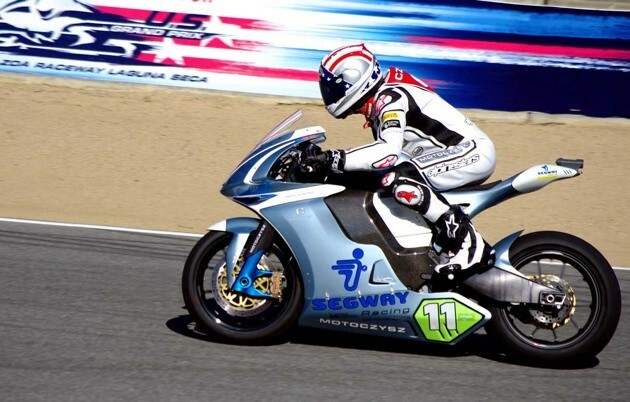 Filed under: EV/Plug-in , On Two Wheels , Racing The eGrandPrix TTXGP and FIM ePower electric motorcycle racing series have, once again, held a joint round at California’s fabulous Mazda Raceway Laguna Seca in front of the huge crowds assembled for the Red Bull U.S. Grand Prix. 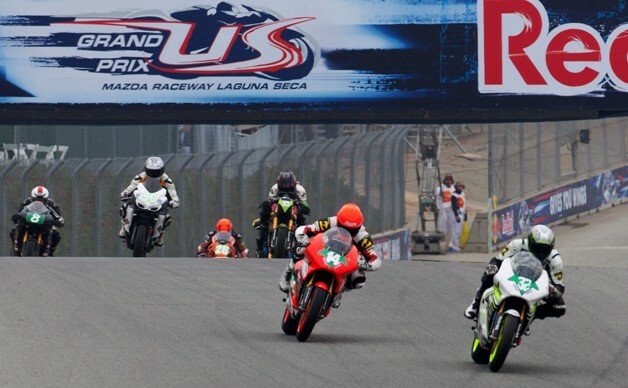 Filed under: EV/Plug-in , On Two Wheels , Racing Last weekend’s TTXGP motorcycle races were proof that sometimes, slow and steady wins the race. Not that the four “eSuperstock” Zero S ZF9s were slow – ok, they are a bit sluggish compared to their superbike upperclassmen – but their reliability conquered all, allowing them to sweep the podium. 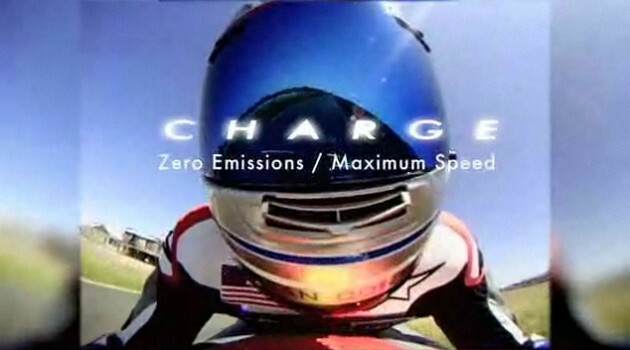 Filed under: EV/Plug-in , On Two Wheels , USA , Racing The first race of the 2012 TTXGP electric motorcycle racing series gets underway this weekend at Infineon Raceway . 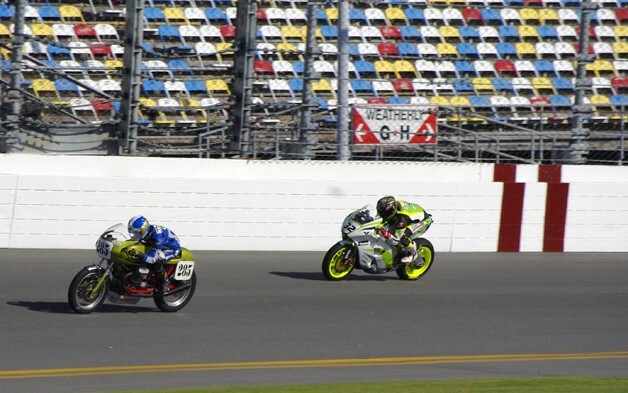 Along with the original open and TTX75 classes, the organization has added an eSuperstock category that should open the door to more participation. The rules for the new class allows for bikes from manufacturers with sales of more than 25 units. Filed under: EV/Plug-in , On Two Wheels , Racing Brammo , makers of the Enertia Plus and Empulse road-going electric motorcycles, has decided to make it easier for riders who want to take their electric two-wheelers into competition. 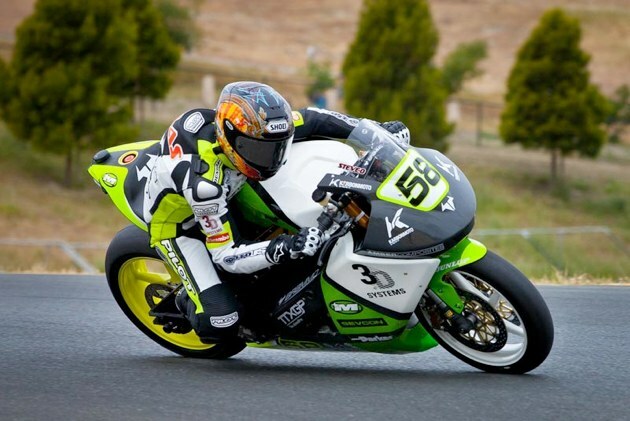 Brammo has signed a deal with the TTXGP electric racing series to provide off-the-shelf racers for the 2013 season. The racing bikes will be based on the Empulse, but with beefed up components. 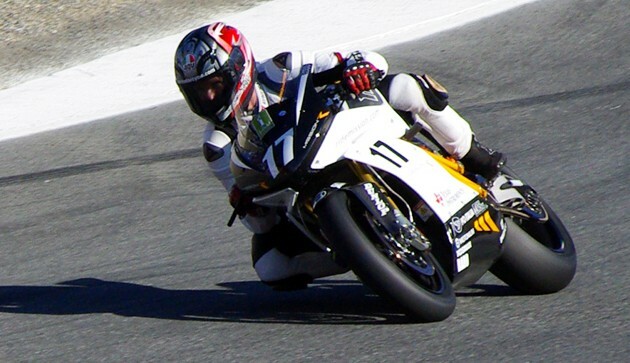 Filed under: EV/Plug-in , On Two Wheels , USA , Racing Qualifying for 2011 TTXGP/FIM e-Power race at Laguna Seca – Click above for high-res image gallery The TTXGP / FIM e-Power International Championship race at Mazda Raceway Laguna Seca was just as epic as we expected it would be. There was a lot more to the weekend than just watching Steve Rapp take the checkered flag for Mission Motors though, and we thought it would be nice to share some of what we saw as we tramped about with our trusty camera in hand. We divided the photos up between scenes from the paddock and action on the track during Saturday’s qualifying and the Sunday race. Filed under: EV/Plug-in , On Two Wheels , UK , Racing TTXGP – Click above to watch video after the jump The European portion of the TTXGP electric motorcycle racing season gets under way today at Silverstone Circuit and the eight-strong grid has been officially announced.